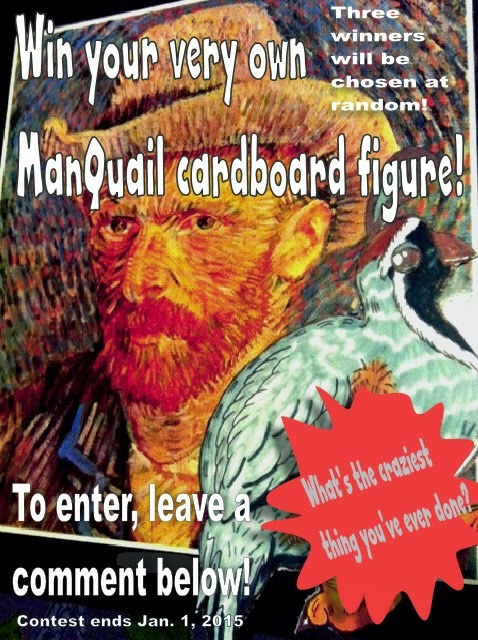 Win your very own handmade ManQuail cardboard figure. You could be one of three to get a Glenn of your own by commenting below on the craziest thing you have ever done! Each cardboard ManQuail comes with a letter from the man himself! Three winners will be drawn at random.